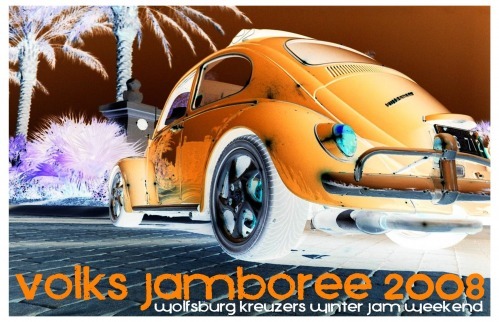 Thanks to Everyone that Supported Volks Jamboree 2008 & WinterJam Weekend. It was all of you that traveled to this event that made it so special. 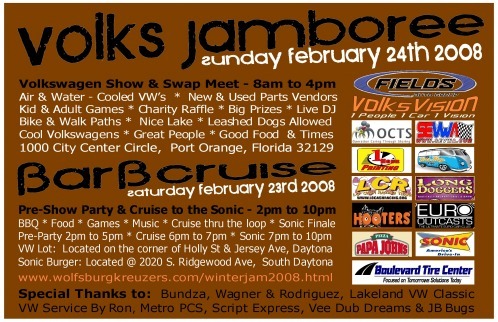 From all of us that worked on this event, we would like to thank each and every one of you for attending and hope to see you all back next year in February 2009! New Website should be launched late July or Early August with all final information for WinterJam 2009. Stay Tuned!! !